We had a stressful move back to the states from Panama last month. The biggest thing was that United PetSafe left my dog and cat on the hot tarmac before loading them into the cargo hold of the plane -- for over 30 minutes -- in Panama City. I was furious and caused a stink -- the Director of Operations for United Cargo called me personally a few days later and tried to give me a $150 voucher to make up for it. No, thank you. Keep your pittance! Nonetheless, with lots of prayers and faith, we made it safely here to Colorado. 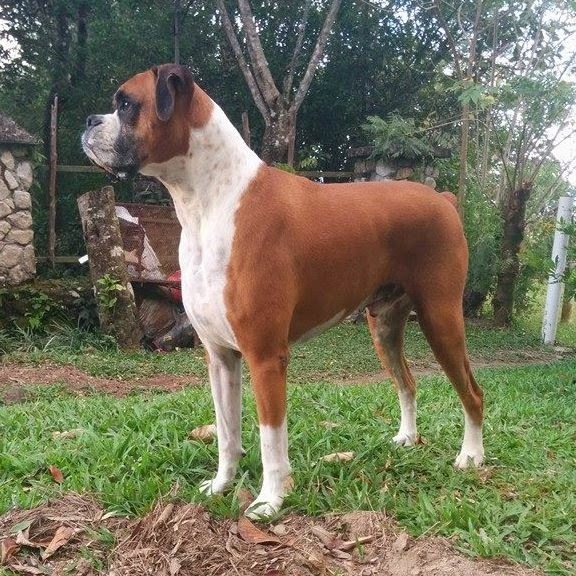 Within the first few weeks, my beautiful boxer, Aegis, hurt his left hind leg. It could have been accidentally slipping on ice, or running up the stairs, or jumping and landing the wrong way. He is a few weeks shy of 7 years old, so he is not a baby anymore. But he acts like a puppy. He doesn't let anything like his age get in the way of his playtime. Since he had a vet appointment to take care of some gingival hyperplasia (common in boxers -- but thankfully not too bad for Aegis -- he had only one area where the gums were growing and covering his teeth), we had the vet do some x-rays of his leg and also some physical manipulation test to see if his knee was stable or not. The vet told us that it did appear that he had a partially torn ACL. This is dreadful news! Surgery would run around $3,000 on the low end (TPLO surgery) and that would require cutting his bone, inserting a metal plate, to stabilize the knee. And, chances are in the future, the other leg would go, too. So, following my "mother's intuition" I decided I am not going to accept this diagnosis. I am going to do what is called "conservative management" and treat him holistically, with nutrition, supplements and so on. 1. I immediately started dissolving homeopathic arnica pellets in his mouth at night. Boxer jowls are perfect to stick 2 pellets in. He doesn't even know they are there! 2. Upped the fish oil capsules I was giving him. He thinks these are treats and he normally gets 1 or 2 per day, but they were not sufficient with the therapeutic amounts he should be getting. So I purchased some from NutriGold on Amazon and now he gets 2 of the double strength capsules, twice per day. They have a sufficient amount of EPA and DHA for him. 3. Dr. Christopher's Complete Tissue and Bone formula. Both the salve and the pills. I confirmed with the company that they are ok for dogs. He has no problem taking them in his food. I have not been consistent with putting the salve on his knee every day. 4. The first few days after his injury I did give him Rimadyl, which is a pain reliever / NSAID for dogs. This was to reduce the swelling. (I also had to give it to him because his gums were hurting after the oral surgery). 5. Initially I iced his knee twice per day for about 5 minutes, also the help with inflammation and healing and pain relief. He was pretty calm about that! 6. MSM / Condroitin / Glucosamine joint supplement for dogs. This will probably be one of the most important things to do, long term. 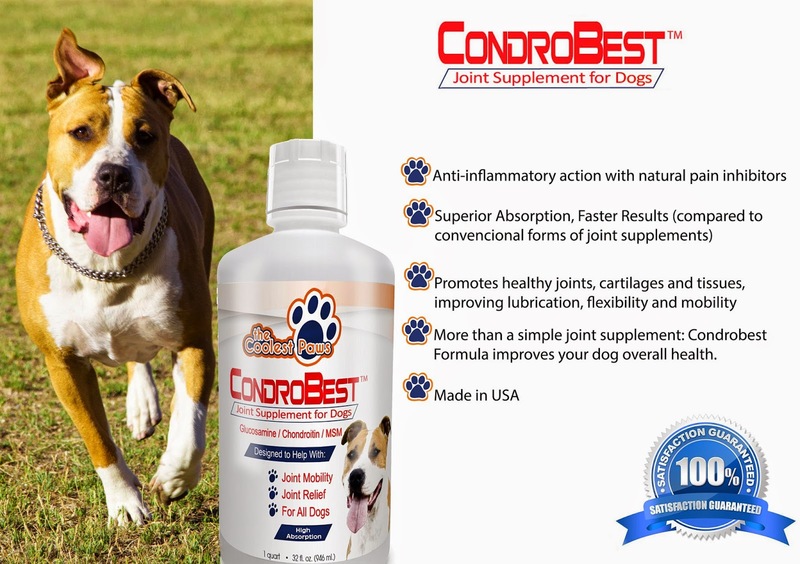 The one from Condrobest is made in the USA, doesn't have any weird ingredients, and offers nutritional support for my dog as well as joint support. 7. AnimalEO -- this is a company founded by a holistic veterinarian who makes animal safe essential oils. I purchased the New Mobility oil, and the Any-itis oil to help repair soft tissue damage and improve mobility. I don't use oils internally and won't for my dog, either. So I put drops on my palm and rub together. Then I pet my dog in his hind legs. That should work! 8. A chiropractic friend of mine, who has experience adjusting animals, was able to give my dog an adjustment. And of course, maybe one of the most important things: don't let him run around and act crazy. He was given free reign of the backyard to do his business, and then anytime we go out for anything else, he has to be on a leash, to prohibit him from straining his leg. We will go to the vet next Thursday for a follow up of his dental surgery, and then discuss with the vet the next steps. The vet really wanted to push me to schedule a surgery, but right now he is barely limping, and he walks fine, no favoring of the leg at all. I would love for the vet to agree with me that surgery is not necessary. But nonetheless, unless it gets worse, I will still refuse the surgery.